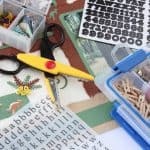 Do you want to make your own sticker remover? 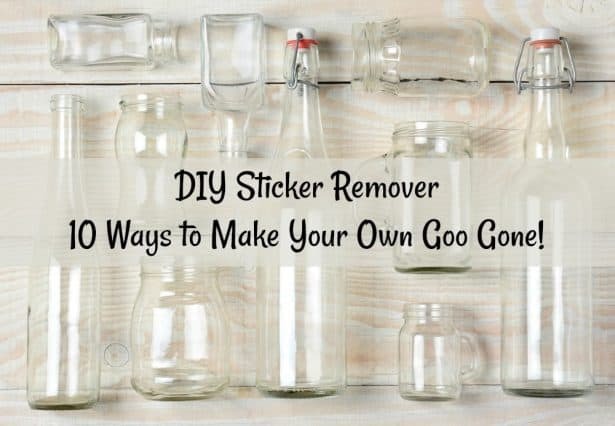 Here are ten options for making a non-toxic, DIY sticker remover. You likely have all the ingredients on hand! I think we've all been in this position. You go to the craft store and pick out your surfaces (whether they be glass, ceramic, wood, etc) and place them in your basket. 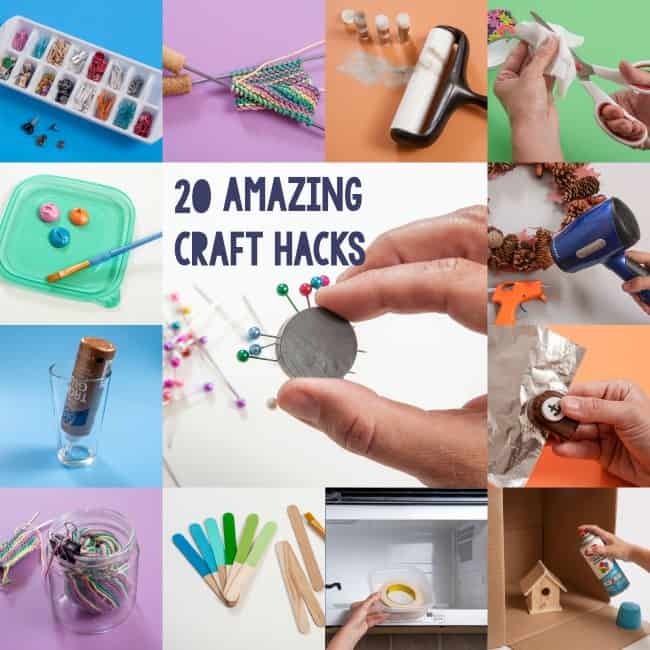 You have all sorts of ideas for what you want to make, and can't check out at the register and get home fast enough. 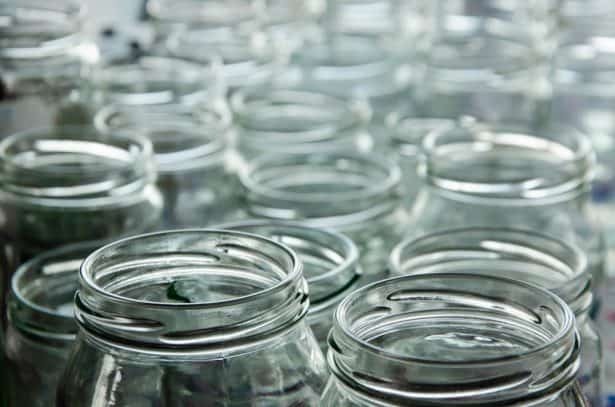 You're ready to begin your first project so pick a glass jar out of the bag and remove the tag – or at least try to. You end up pick-pick-picking only to have the tag partially rip off or leave sticky reside behind. That's when it's time for a DIY sticker remover. Before I get into the methods to get stickers off of glass, I wanted to go over a few questions I've gotten from readers. Remember that my focus is natural methods – let's jump in! Why Not Use Goo Gone? Without getting too scientific, some people might not feel comfortable using Goo Gone, especially if they are in sensitive groups or are pregnant. In that case, it's probably a good idea to consider a DIY sticker remover. When I asked my Facebook group about their preferred methods for DIY sticker removal, one of the suggestions was WD-40 (basically you'd use it the same way as Goo Gone). I did a little research and found the MSDS for that product as well. So from first glance of the hazards listed, WD-40 is even more problematic than Goo Gone. 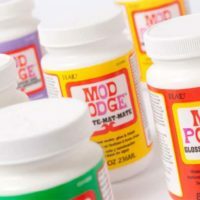 If you aren't in a sensitive group, you may want to consider WD-40, but otherwise I'd avoid it and stick with the natural DIY sticker removal methods below. After surveying my audience for their favorite DIY sticker remover methods, I'm presenting them below in order of preference. You absolutely need to do a test first in an inconspicuous area to make sure that the products below won't stain the surface. This is especially true for wood (and I wouldn't recommend any soaking. Note that the oil methods should be used sparingly on wood and especially fabric as they might leave stains (which doesn't matter if you are painting the wood). Removing stickers from glass and ceramic is the easiest and usually doesn't cause a problem. Mayonnaise – remove as much of the label as possible. Spread mayonnaise over the remaining adhesive and let sit for ten minutes. Then scrape with a credit card. Peanut butter – you'll use this the same as mayonnaise. Soak in hot water – you'll want to either boil water or run really hot water from your tap. Place the item into the hot water and soak for at least overnight. Follow up with a scrubber pad. Do not use this method on wood! Oil – leave a household oil (coconut oil, olive oil, baby oil). on the label for a few minutes. Scrap off the existing residue. Hand lotion – this seems to work the same way that the oils do. 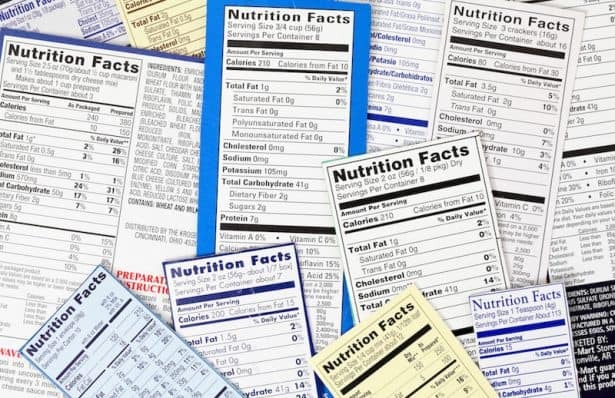 You'll want to remove as much of the label as possible before trying this method. Hair spray – spray on, leave sit for a few minutes, and wipe off. Rubbing alcohol – wet a paper towel or rag with rubbing alcohol and rub where the adhesive is. If the sticker is stubborn, lay an alcohol soaked rag on the area and let sit for several minutes. Eucalyptus oil – this works like the other household oils from #4. Hair dryer/heat gun – I've tried this method with a heat gun and I have to say, it works very well. All you'll do is point the hair dryer or heat gun at the area with adhesive and – like you'd imagine – get it really hot. Rub the sticker reside off with a rag or your finger (but remember the surface is hot!). Baking soda and coconut oil paste – you're going to mix 1 tsp of each together in a small container and apply to the sticker residue. Leave it on for several minutes and then use a hard edge to scrape off the remaining residue. 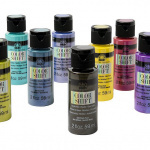 Crafter's Companion Stick Away – available in the UK. I can't find an MSDS on this product. Have you tried any DIY sticker removers that you use regularly? I'd love to know how you remove sticker residue in the comments! 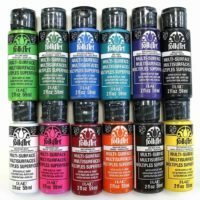 How to Use Acrylic Paint - My Top 8 Tips! Purell hand sanitizer works better than rubbing alcohol. Spread over adhesive and leave for a few minutes. Then scrape with a credit card or other sharp edged item. I would like to get their adhesive so I could make my own labels invinceable! I would like a dishwater safe costing for my crafts. Or maybe I should try painting on glass. However I think it can be done with labels as I have a horrible time getting labbels off syrup and pickles …anything with a free pretty jar…for my crafts… I scrape and peel and soak and try everything and still have left on glue….Also theirs is so even and clear……Spagetti jars have real tough glued on labels. And such a nice size I hate to spend my craft time on cleaning and scarping jar glue. I often have luck just laying the item in the sink and cover the label with dish soap. Let it sit a bit and usually comes off easily. I wish there was a way to remove a sticker on something you don’t want to get wet? Have tried a hair dryer but not too good of results. I have had great success with the product Scrapper’s Solution Undu. 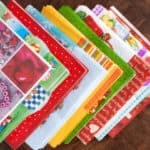 You can use it to remove stickers in scrapbooking and are able to reuse the sticker. I also love having a razor blade to remove residue from jars. I also found a pumice powder to remove a filmy residue on a bathroom mirror. I had tried everything: alcohol, window cleaner, and even the steam mop. The pumice powder did an excellent job! Thanks for all these suggestions. I usually use Goo Gone, but I’m going to give baby oil and heat a try. Much appreciated! I use hand sanitizer. It’s great! I also use it for removing stuck on grease like on a stove top, removing soap scum and just about any “gunk”. But, don’t use the type that have those tiny beads in them. They can scratch some surfaces. Hi Kat, ooh I will definitely give that a try, thank you!!! 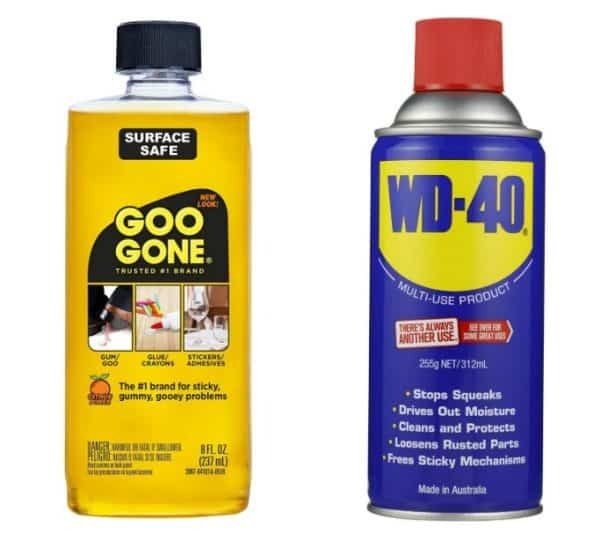 Using either GooGone or WD40 is all you need. Wet an old rag, or sponge in hot water and then add your preferred product place the rag on the label and let soak a few minutes, you may not even need to scrape off. I’ve been doing this for almost 20 years so I can reuse the glass jars candles come in. It always works beautifully. Hi Sherry! Yes these work well but are not an option for all people – some are in sensitive groups, or just don’t want to use something that’s got any hazards. You know when you go to church and you are just sure the preacher’s sermon is just for you, so timely, well, that’s how I feel about this post. I am working with a lot of projects right now that all seem to have tape or stickers. As with a lot of you, I hate to use GooGone. I’m anxious,to try these methods. Thank you, thank you! fun and so interesting too. Pure Citrus Air Freshener by Blue Magic, also Real Citrus Air Freshener by OdoBan. Care should be taken with these sprays on some plastic items causing the area to become ruff, but on glass it works great. Thank you for these 10 non-toxic methods that I can try and find around my house. I usually use butter, some times peanut butter or olive oil in a pinch. Butter is the easiest to clean off after so it’s my first pick. I’ve used bug spray…it’s also great for taking black sharpie off a cabinet door. Orange oil. Gets adhesive off or out of anything. Love this article, have some plastic containers that I want to get the sticky stuff off, so I can use them. Thanks!! Here in New Zealand we are able to buy from a supermarket an Australian made product called “De-Solv-it” a sticky spot and stain remover with Natural Citrus Base. A 125ml, bottle costs around NZD$ 8 – 10. Approx USD$ 4 – 5. Removes cleanly in seconds and has a pleasant smell. I wonder why I’ve never seen that in Aus??? I will have to try some of these techniques. I usually use alcohol soaks with pretty good results–I use disposable makeup removal pads to do the soaks with and to wipe away the left over glue residue. I like shades of purple as well as blues, a glass of ice cold coke. So many ideas and so little time! Great ideas! I’ve always used olive oil. But I wish someone would come up with something to get the stickers off thick chipboard or paper mache boxes and things. You don’t want those greasy or wet. I’ve bought some over the years but couldn’t get the stickers off so they sit, sadly undone. I have used two methods, cooking oil and crafters companion “Stick away”. For glass or plastic, when some or most of the label comes off, but sticky spots remain, I use the piece of removed label to remove the remaining glue. Just press the sticky side of the removed label piece to the areas of remaining glue until it’s picked up. Keep changing to a “clean” section of the label. Doesn’t work on all labels, of course, but it does for many! I’ve been using De-Solv-It Safe!..No Harsh chemicals.. 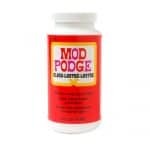 It has worked for me for years and is Orange based …no harmful effects.! Peel off the sticker with fingers. Scrape residue with credit card, coin, butter knife to remove paper on top of glue residue but don’t spend much time on it. Pull off a piece of tape from a sticky roll like duct tape or packing tape but not low tack tape like painters tape. Press the tape over the residue so it is stuck to the residue then rip off the tape. The residue that stuck to the tape will come up with it. Use the duct tape to cover small areas of residue and rip, rip, rip. As residue covers the duct tape, keep using new areas of the duct tape. Just press and rip up, press and rip up. Works for every surface…this method has never failed me and unlike oil methods, leaves no stain or residue of its own. I like to leave glass jars soaking in the last of a bowl of warm washing up water to get rid of their labels. I had never considered mayonnaise! Hi there, after using one of the methods you described above, usually hot water, I try to prevent self sticking labels for homemade jams etc. I use normal paper, cut it into a label, name the jam and brush beaten eggwhite on the back. This works very well and there is no hustle to reuse the jar . Just wash the label off!for next use! Mayonnaise, peanut butter- I know the desperation sticky residue causes, but I wouldn’t have thought of those:) I have just learnt about the hair dryer, it works with double sided tape too. I just want to know why these labels and glues get put on in the first place when the customer has to go to such trouble to get them off! This is all really helpful information. Thanks, Amy. There is another method I can suggest, though it does not work on every label. If you fill a glass container with boiling water and leave it standing for a few minutes (don’t let the water cool down too much), the glue sometimes softens and the label just peels right off, leaving no residue! Like the heat gun idea you mentioned, the glass does get hot, but you have to make sure there is enough heat to keep the glue soft. Wearing rubber gloves might help. I haven’t tried this with containers made of other materials, such as plastic. This works better than soaking in hot water, which is what I still sometimes have to do. Now I try the hot water inside first and then use other methods if that doesn’t work. I have found that placing items in the freezer overnight works. Most adhesives can’t work in cold temperatures (except for freezer tape…it was specially designed to remain sticky in extreme cold). After letting the item and label/sticker get cold, it’s very easy to peel off and rarely leaves any adhesive residue in the item.